There's no such thing as too much monkey business. Throw on this Plush Gorilla Mask and go bananas! Be a fun and playful primate or be one of those darn dirty apes that eventually enslave humanity, it's completely up to you. Either way, you need to make sure to you beat your chest profusely and always lose your mind anytime a banana is even mentioned. 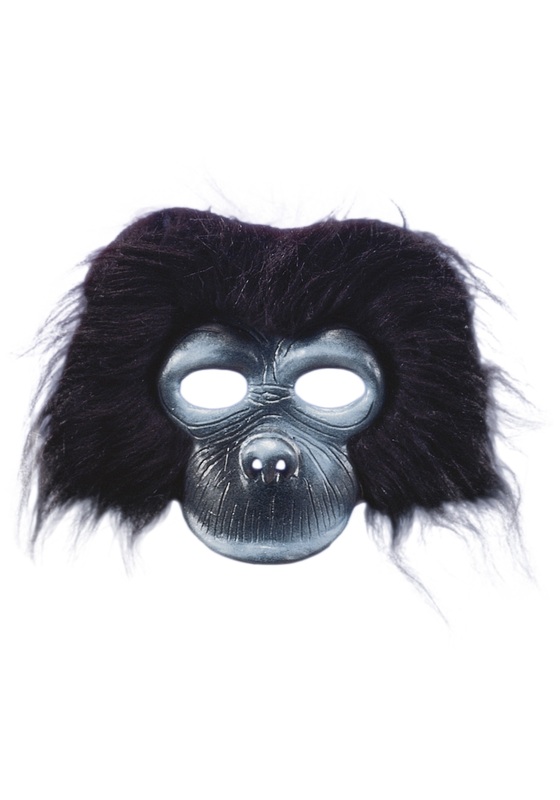 This plush mask is a good start for your gorilla guise but make sure to check out the rest of our gorilla accessories. Grab some gorilla hands and feet, maybe even some black body paint. After your dressed for the part, just perfect your impression of these wild jungle creatures. So that involves a lot of grunts, some 'hoos' and 'oohs', the occasional raspberry, and of course, their frightening roars. Start practicing now so that you'll be ready to monkey around (and do so correctly) all night this coming Halloween!